One could be forgiven if one was imagining that one was obsessed with bumble bees, couldn't one? Well it is a wee bit true. 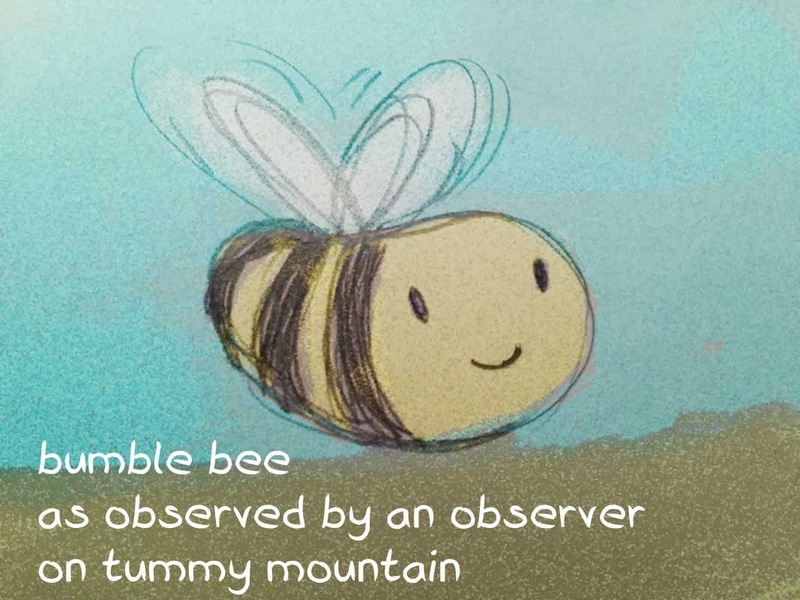 Despite the plethora of adorable animals where tummy mountain originated there was a distinct lack of bumble bees. It could be hard to even imagine a scenario that tummy mountain could exist without bumble bees! Luckily tummy mountain has flown across the seas to be in a land where bumble bees exist in plentiful numbers for the enjoyment of all.